WASHINGTON — After Black Friday comes Black Ice Saturday. The National Weather Service has issued a Winter Weather Advisory for freezing rain Saturday morning that includes most areas west of Interstate 95, including parts of Frederick, Montgomery and Howard counties in Maryland. A Winter Weather Advisory was also issued for parts of Prince William, Fairfax, Stafford and Fauquier counties in Virginia. The advisory runs from 6 a.m. until noon Saturday. The National Weather Service said freezing rain and sleet will make travel difficult and drivers should expect slippery roads. 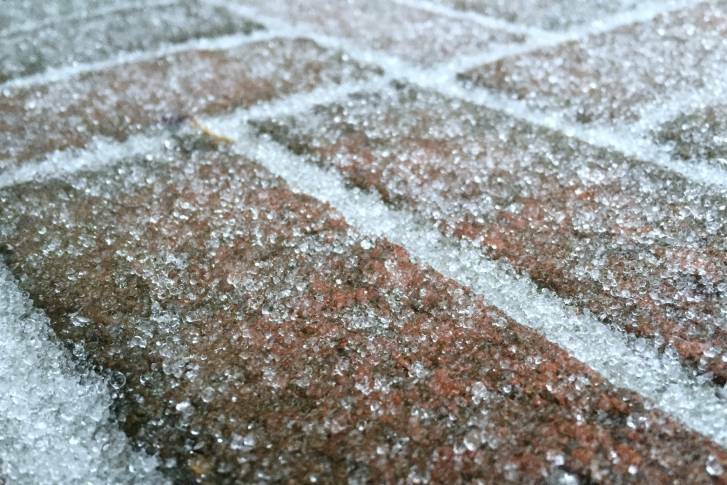 The weather service said total ice accumulations of around one-tenth of an inch before the precipitation turns into plain rain by about noon Saturday. Expect rain most of the day Saturday, clearing out by about 9 p.m., according to StormTeam4 meteorologist Matt Ritter. The good news — Sunday will be sunny, tranquil and near 60.